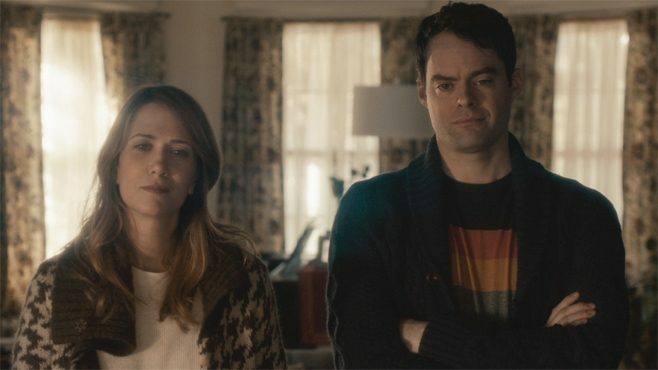 According to TheWrap, Bill Hader is set to star in the indie flick Empress of Serenity. First-time director Jesse Andrews wrote the original screenplay, which was loosely inspired by a 1990s David Foster Wallace essay entitled A Supposedly Fun Thing I’ll Never Do Again. Novelist Andrews had a strong screenwriting debut in this year’s well-received indie youth tragicomedy Me and Earl and the Dying Girl. Wallace’s essay detailed his troubles and travails on a weeklong cruise. Andrews’ screenplay is a father-son story set on a cruise ship (Hader plays the son), with the father helping his son work on intimacy issues. The film is backed by Good Universe and produced by Stephen Chbosky, Mr. Mudd’s Lianne Halfon, Russell Smith, and John Malkovich. The group previously collaborated on the 2012 YA movie The Perks of Being a Wallflower, which Chbosky directed. Known for his 10-year stint on Saturday Night Live, Hader has since graduated to the big screen, showcasing not just his comedic skills but his dramatic talents as well. He played opposite James McAvoy in The Disappearance of Eleanor Rigby, co-starred with fellow SNL alumni Kristen Wiig as the depressive brother in last year’s The Skeleton Twins, and was the romantic lead opposite Amy Schumer in this year’s Trainwreck. Hader voiced the character of Fear in the Disney/Pixar mega hit Inside Out, and will also do voice work on The Angry Birds Movie and the raunchy animated movie Sausage Party. He will be seen opposite Oscar-nominated actor-screenwriter Ethan Hawke and Oscar winner Julianne Moore in Rebecca Miller’s comedy Maggie’s Plan, set for release on May 20th. He will also play a giant in Steven Spielberg’s family film adaptation of The BFG. Production on Empress of Serenity is slated to set sail in the spring.